Krabbe (crab-ay) `Disease, also known as Globoid Cell Leukodystrophy, is a genetic disorder that affects the central and peripheral nervous systems. Those affected by Krabbe typically appear healthy until the onset of the disease. The onset of Krabbe occurs when the demyelination process begins and results in the initial disease symptoms such as loss of previously attained milestones and feeding difficulties. Onset can vary from early infancy into adulthood. Those who suffer from Krabbe Disease have a deficiency of an important enzyme called Galactosylceramidase (GALC). Krabbe Disease is classified as both a Leukodystrophy and Lysosomal Storage Disorder (LSD). Krabbe is one of more than 50 known Leukodystrophies, which are progressive disorders that affect the myelin (sometimes referred to as white matter) of the brain. LSDs occur when a part of the cell, called the lysosome, does not function properly. In a healthy individual, enzymes break down material in the lysosomes, however, if the body does not produce enough of a specific enzyme, such as GALC, harmful toxins build up. Toxicity in the brain is caused when too little GALC is produced, leading to demyelination. The deterioration of the myelin sheath interrupts signals sent and received from the central and peripheral nervous systems, resulting in progression of the disease. How does Krabbe affect the individual? Krabbe Disease affects both the central and peripheral nervous systems, which are responsible for all of the body’s voluntary and involuntary functions. The central nervous system is made up of the nerves within the brain and spinal cord and is the primary control center of the body. The peripheral nervous system’s primary function is to carry information from the brain and spinal cord throughout the body to limbs and organs. Individuals affected by Krabbe Disease have a deficiency of the GALC enzyme, which disrupts the production of myelin. Myelin is the insulating sheath that surrounds and protects the nervous system, and is needed for the rapid transmission of information to and from neurons throughout the body. Communication with the brain and nervous system becomes restricted or lost, resulting in progression of the disease. This results in a loss of the ability to walk, speak, swallow, cough, and more. The rate of progression depends on what form of the disease the individual has; however, as Krabbe advances it encompasses all aspects of bodily function and is a fatal disorder. Although there is currently no cure for Krabbe, it is treatable. With proactive, comprehensive medical care the symptoms of Krabbe can be well-managed to give the individual the best quality of life possible. Furthermore, through Krabbe newborn screening, affected children have the opportunity to benefit from lifesaving treatment to stop disease progression. How do you get Krabbe Disease? Krabbe Disease is a genetic, or inherited, disorder and is also classified as an autosomal recessive disorder. This means that if both parents are carriers of the disease, each child they conceive will have a 1 in 4 chance of developing Krabbe. Could other children in the family also have Krabbe Disease? 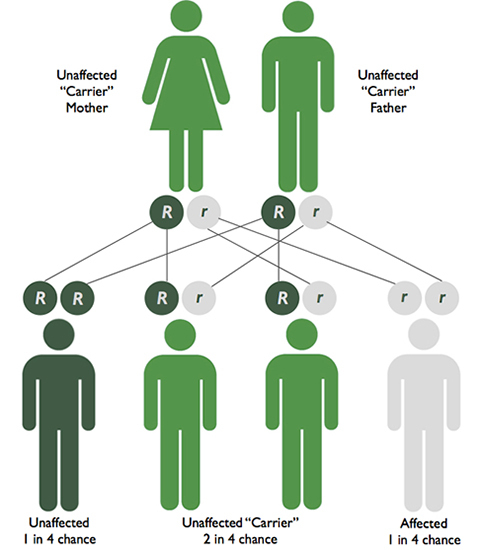 If both parents are carriers of Krabbe Disease, each child has a 1 in 4 chance of being affected. To determine if other children in the family are affected by or carriers of Krabbe, it is best to consult with your genetic counselor or your child’s physician. Krabbe Disease is diagnosed through a series of tests. Oftentimes a blood test is used to determine the level of GALC enzyme activity. Other tests may include an MRI, CT, nerve conduction study, and/or genetic testing for mutation analysis. Although newborn screening for Krabbe Disease is available in some states and through Supplemental Newborn Screening, it is not a diagnostic test. However, newborn screening can lead to a proper and early diagnosis upon confirmatory testing. 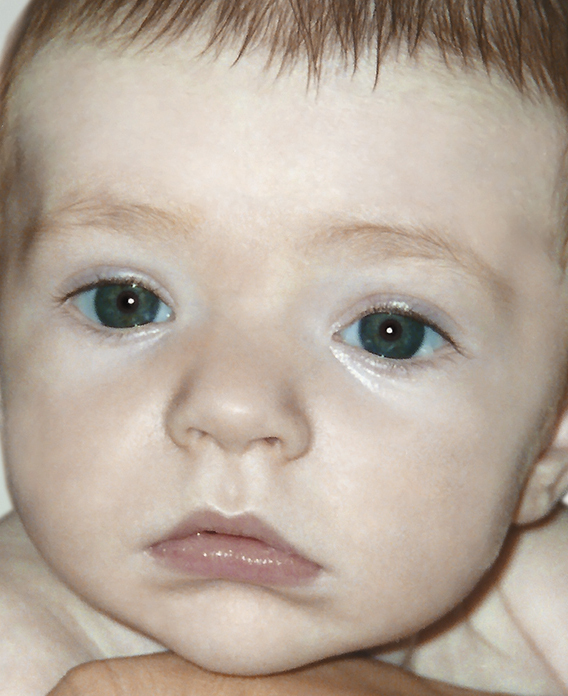 If your child had a positive newborn screen for Krabbe Disease, click here. What are the different forms of Krabbe Disease? No matter what form of Krabbe Disease an individual is diagnosed with, optimal care is of timely importance. The Leukodystrophy Care Network (LCN) was established to provide individuals with the best quality of care at specialized centers across the country. The Early Infantile form of Krabbe Disease is the most severe. Initially, it is often misdiagnosed as colic, reflux, food/milk allergy, or even Cerebral Palsy. Within the first few months of life, affected babies begin to show symptoms such as extreme irritability, feeding difficulty, stiffness, and loss of or unmet developmental milestones. Some symptoms include, but are not limited to: extreme irritability, excessive crying, stiffness, decline of motor skills, loss of previously attained milestones, difficulty feeding, weight loss, seizures, rapid involuntary movement of the eyes (nystagmus), muscle spasms in the arms and legs (clonus), and arching of the back. Children with Late Infantile Krabbe Disease begin to show symptoms between 6 months and 3 years of age. Symptoms are similar to those described for Early Infantile Krabbe Disease. Those with Adolescent Krabbe Disease typically show an initial regression of motor skills at 3 years of age or later. After the initial decline, the disease typically progresses more slowly than the infantile onset, often over a period of several years. 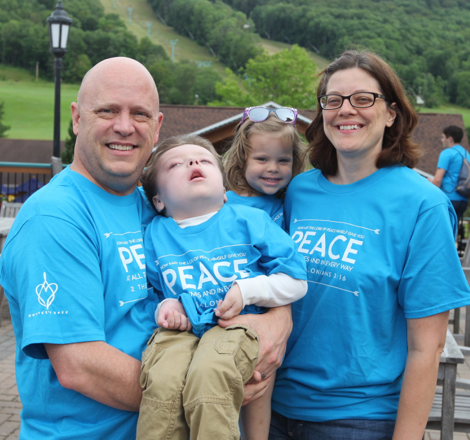 The adult onset of Krabbe Disease frequently begins with vision problems, generally followed by muscle stiffness and difficulty walking. It is possible that those with this form of Krabbe can be misdiagnosed with diseases such as Multiple Sclerosis. Some symptoms include, but are not limited to: progressive loss of vision, change in gait or difficulty walking (ataxia), loss of manual dexterity, muscle weakness, and pain. Is there a treatment for Krabbe Disease? Although there is currently no cure for Krabbe, it is treatable. Individuals affected by Krabbe who are diagnosed before the disease is too far progressed may be eligible for an umbilical cord blood or bone marrow transplant. Through this procedure, stem cells from donated umbilical cord blood or bone marrow containing normal levels of the GALC enzyme are given to the patient to stop the progression of the disease. Unfortunately, this treatment is not effective in repairing myelin that has already been damaged. Nationwide Newborn Screening for Krabbe Disease is crucial. This is the only way to ensure that every child affected by this disease has the chance for the lifesaving treatment they deserve. For a cord blood transplant, stem cells come from umbilical cords that are donated and stored after live, healthy births of unaffected donors. To learn more about donating your baby’s umbilical cord, please visit the Carolina Cord Blood Bank. What if my child was diagnosed too late for a transplant? If an individual is not eligible for transplant, proactive multidisciplinary care is essential to provide the best quality of life possible. There are a variety of therapies, adaptive equipment, and medications available for this very purpose. 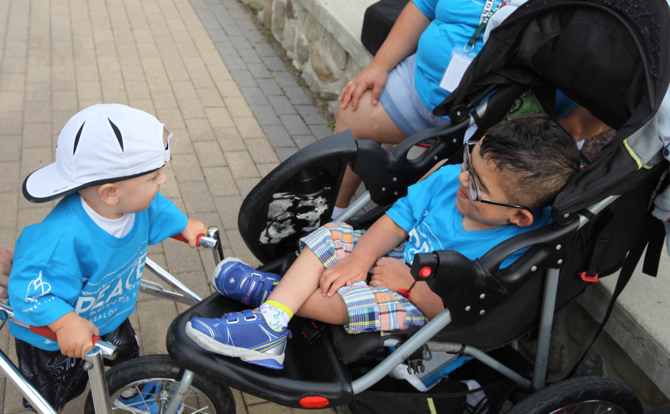 All families and caregivers of individuals affected by Leukodystrophy, whether they qualify for transplant or not, should seek expert care through the Leukodystrophy Care Network, or LCN. 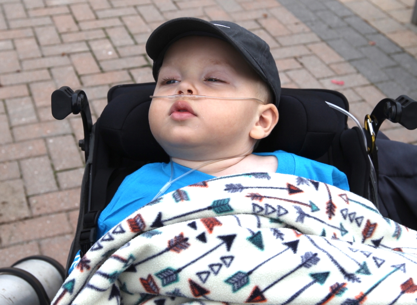 What research is being done to find better treatments and a cure for Krabbe Disease? Hunter’s Hope is committed to funding research for better treatments and a cure for Krabbe Disease and other Leukodystrophies. To learn more about the groundbreaking research currently underway, visit the Research section of our website. Families affected by Krabbe are an integral part of advancing research for this disease. To learn more about how your family can participate in our World-Wide Registry for Krabbe Disease, please contact us. Click here for information about a Clinical Trial at Duke University Medical Center for Krabbe patients.